Inside the Middle East meets the Tinariwen musical group, who sing about conflict and exile. CNN's Schams Elwazer meets the creator of "The 99" -- superheroes "inspired by Islam"
For the first time, superheroes "inspired by Islam" are fighting evil and taking on the world in the form of comic books and an animated series. The creator and publisher, Kuwaiti clinical psychologist turned entrepreneur Naif Al-Mutawa, was singled out by President Obama at the March 26 Entrepreneurship Summit for "capturing the imagination of so many young people with superheroes that embody the tolerance and teachings of Islam." Schams Elwazer introduces us to the man and the concept on the eve of a groundbreaking announcement that a major U.S. distributor will air the animated series in the United States. We bring you highlights from events around the region in music and sports from a Tom Jones concert to Lebanese politicians playing a friendly soccer match commemorating the anniversary of the civil war. In old Amman we introduce you to artist Salam Kanaan. 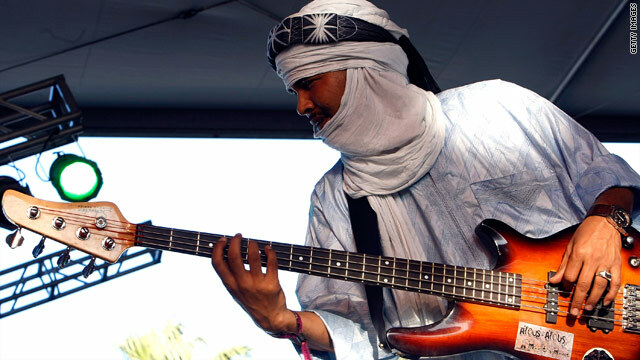 In Al-Ain we feature the Tinariwen musical group, a collective of Touareg rebel fighters turned musicians who sing about conflict and exile, about community and the triumph of the human spirit. Tracey Holmes meets these Blues men of the Sahara at the WOMAD music festival. In a regular segment featuring discussions with the region's youth, Inside the Middle East goes on campus with students at Jordan University. Founded in 1962, it is the oldest university in the Kingdom and has the highest enrollment in the country with 36,000 students. We hold a roundtable discussion to address issues of education and employment opportunities, censorship, and students' aspirations to help end poverty.